All available pendants in our shop are made by silver 925. Pendants with zircons are purchased from the producer, directly in central China. In another place, 400 km further south, we buy pearls from breeders.In Warsaw, we choose pearls and paste. Previously, they are slightly drilled so that you can paste the pin. For gluing we use the best jewellery glue available in Polish market. Pendant with a beautiful green freshwater pearl with a very nice iridescence. The pearl is in the sh..
Pendant: an owl with a dark navy pearlSilver: 925 trialDimensions of the pendant: length - 3.2 cm, w..
Pendant with black pearl and zirconSilver: 925 trialThe length of the pendant: 2.1 cmWeight pendant:..
Pendant with brown pearlSilver: 925 trialDimensions of the pendant: length - 2.6 cm, width: 1.5 cmWe..
An owl-shaped pendant studded with cubic zirconias in various colors, into which freshwater pearl sh..
Pendant with cream pearl and zirconsSilver: 925 trialThe length of the pendant: 1.6 cmWeight pendant..
Pendant with cream pearl and zirconsSilver: 925 trialThe size of the pendant: length - 3 cm; width: ..
Pendant with green pearlSilver: 925 trialDimensions of the pendant: length - 2.6 cm, width: 1.5 cmWe..
Pendant with olive pearl and zirconSilver: 925 trialThe length of the pendant: 2.1 cmWeight pendant:..
Pendant in the shape of an owl studded with cubic zirconia, into which a freshwater pearl of the col..
Pendant with white pearl and zirconsSilver: 925 trialDimensions of the pendant: length - 3 cm, width..
Silver: 925 trialParameters of the size of the pendant: weight: 1.3 g; length - 1.9 cmNatural freshw..
Beautiful silver pendant with zircons and white freshwater pearls, which nicely blends and harmonize..
Pendant with navy blue pearl and cubic zirconiaSilver: 925 trialDimensions of the pendant: length - ..
Pendant with a beautiful black freshwater pearl with a very nice iridescence. The pearl is in the sh..
Pendant with a beautiful purple freshwater pearl with a very nice iridescence. The pearl is in the s..
Pendant with a beautiful silver freshwater pearl with a very nice iridescence. The pearl is in the s..
Pendant with a beautiful white freshwater pearl with a very nice iridescence. The pearl is round wit..
Pendant with a beautiful pink freshwater pearl with a very nice iridescence. 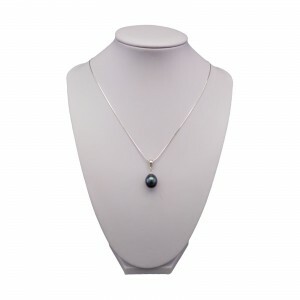 The pearl is in the sha..
Pendant with a beautiful white freshwater pearl with a very nice iridescence. The pearl is in the sh..
Pendant with a beautiful pearl with very nice iridescence.The pearl is topped with a silver tie and ..